Who doesn't love fried chicken? A lot of different countries have their own versions of this comfort food that hits all the right spots. But although they are delicious, sometimes we crave for flavors that are our own. 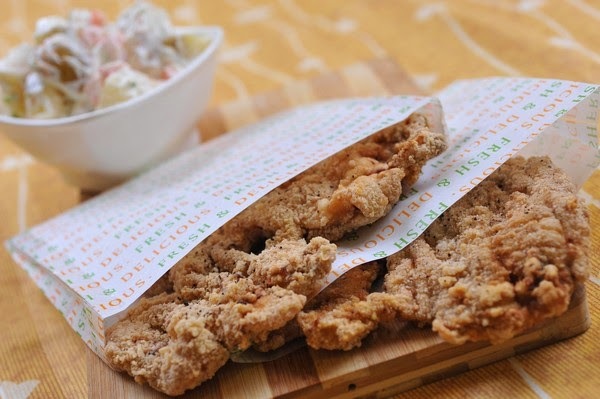 Here's a good recipe that will tickle your taste buds and satisfy your need for that fried chicken crunch! 1. Cut each chicken breast into 2 pieces. Remove the hard bone on the breast. Do a butterfly cut by slicing each breast halfway and unfold it flat to look like a butterfly shape. 2. Marinate chicken with water, sugar, salt, pepper and soy sauce for 30 minutes. Set aside. 3. Heat oil in deep frying pan. Coat marinated chicken with flour then dip in beaten egg then dredge in all purpose flour. Deep-fry for 5 minutes or until golden brown. Set aside. 4. Combine cinnamon powder, all-spice powder, five spice powder, ground pepper, salt and paprika if desired. Mix well and transfer in a salt shaker. 5. Season fried chicken with dry mixture and serve.